As a non-techie family, we can highly recommend the XYZPrinting da Vinci mini Maker, as a starter 3D printer. I've been wanting to get a 3D printer at home for a while now but feel a bit overwhelmed by the different printers on the market, their cost and my own lack of knowledge and skill. Read: Is XYZPrinting da Vinci mini Maker any good? Disclaimer: XYZPrinting provided us with a loan da Vinci mini Maker to review. This is not a sponsored post and as always our views are our own. I attended a crash-course on how to operate a 3D printer at my local makerspace and loved the experience. When we were asked if we'd like to review the XYZPrinting da Vinci mini Maker I jumped at the chance. 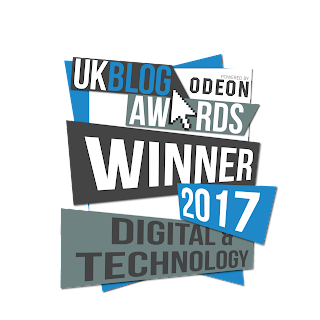 In this post I will write in plain terms our experience with this 3D printer from a non-techie perspective. 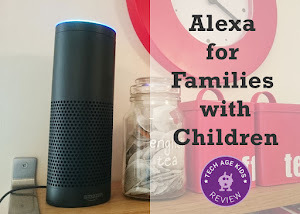 If you would like to know how the printer stacks up against other 3D printers and learn what experienced families think of it - read Tracy's review here. The printer arrived in a large box and was well packaged. The 3D printer does require some assembly, which we did together as a family. Using the provided instructions, the online tutorials and some "let's think about this and try it" skills, we managed to build the printer in about 30 min. We were working carefully and slowly, so it may take a more experienced family less time. Find some tutorial videos on XYZPrinting Website. Once the printer is built, you need to download the software to send objects to the printer. 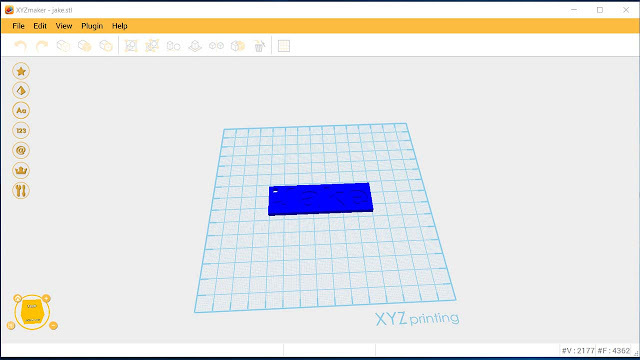 The XYZPrinting da Vinci mini Maker is not wireless, so you need to set it up so have a cable connection between the printer and PC / laptop. We have a Windows laptop and it was really easy to download and install the software. When we opened the programme, it prompted us to update the firmware on the printer. This may not be the case for all users, but it was really simple and we had no issues. Remember to fix the large sticky back sheet to the base plate to help protect the plate and prevent objects from shifting during the printing process. Make sure you have removed ALL the packaging before you start printing. 3D printing requires to different computer programs. 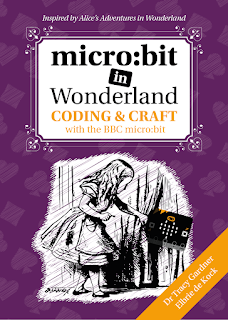 The software to slice and send the files to the 3D printer to make and the software to create your 3D objects. XYZPrinting have their own 3D modeling software, which you can download here. You can also use other 3D modelling tools, as long as you can export .stl files, which the 3D printer supports. You need to create an account with XYZPrinting to download to printing and 3D modelling software. It's really exciting to print your first object. 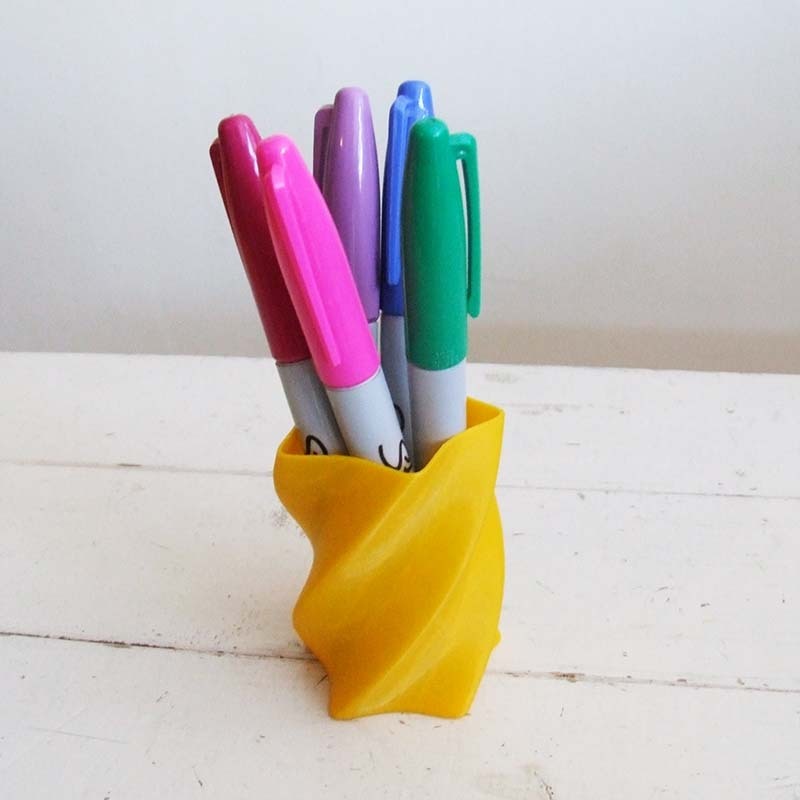 I would recommend you choose one of XYZPrinting's sample objects (we selected the twisted pot and Tracy printed their logo as a first print). It's best to select a small object, so you don't have to wait too long to print something that you really want to make. It's a good idea to go through the calibration process on the printing software. Your first print will take longer to get going, as the filament needs time to push through to the nozzle. 3D printers also need a bit of time to heat up before they start printing. My kids loved watching our object come to life. But after a while it gets a bit boring watching a 3D printer. Our first sample pot took 2 hours to print. These days it's possible to access a 3D printer at school or a local makerspace / even have your design printed and delivered at home. 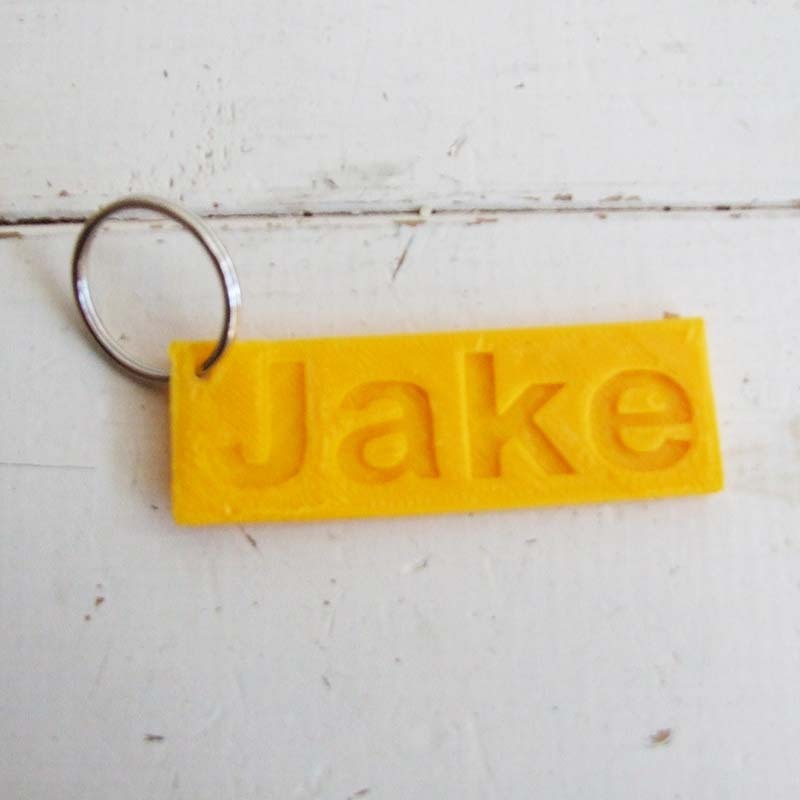 But the idea of having a 3D printer at home is very appealing. My kids, started thinking of things they would like to make, either creating their own designs or searching for objects on Thingiverse. 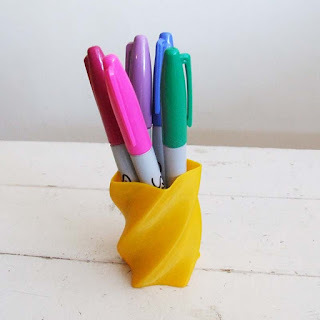 I like the idea of making useful things for the home. We made a name tag. 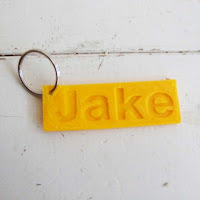 My 6 year old had lost his school book bag nametag and so we designed a new tag using the XYZmaker 3D modelling software. It's fairly intuitive to use, but I've found all 3D modelling takes a bit of practice. It's definitely the type of tool, given a bit of time, kids would be able to use to model their own designs. We made a battery dispenser. Like many other families, I'm sure, we have an overload of batteries. In order to keep them stored properly in one place, we made a 3D printed battery dispenser. 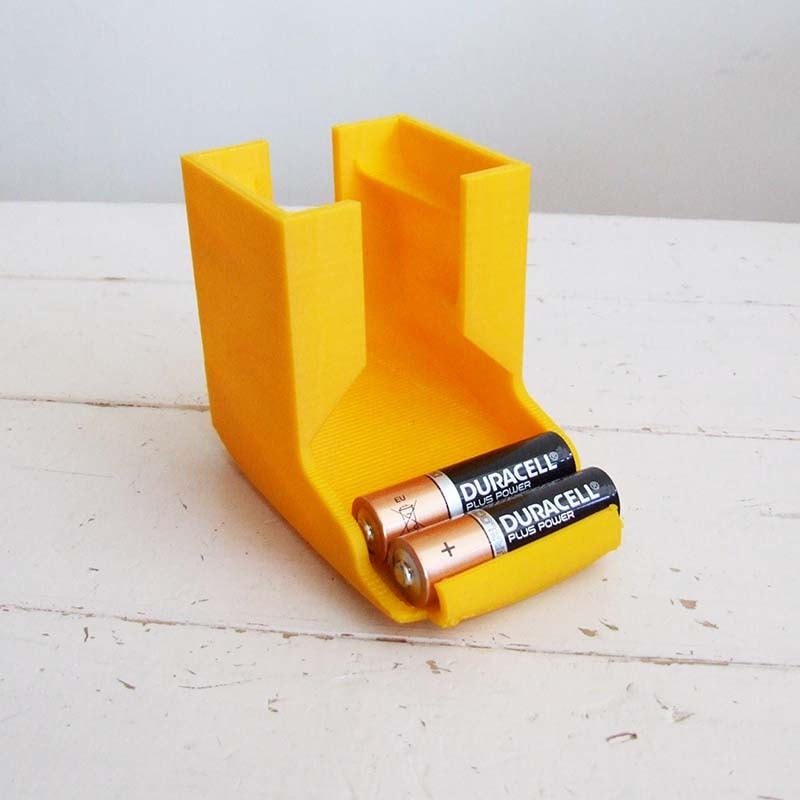 We got the design from Thingiverse - Compact Tabletop Battery Holder by jgillick (Published on April 25, 2014), which is available for home use. Unfortunately we didn't put enough glue stick on our base plate before we started printing and the corners lifted on the model. It also took more than 5 hours to print. We're planning to fix our corners with some Sugru, but we are really pleased with our battery dispenser. We made a cookie cutter. 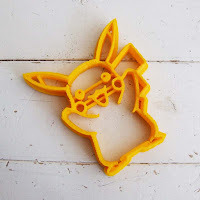 My 6 year old had a Pokemon birthday party and wanted to bake Pikachu cookies. 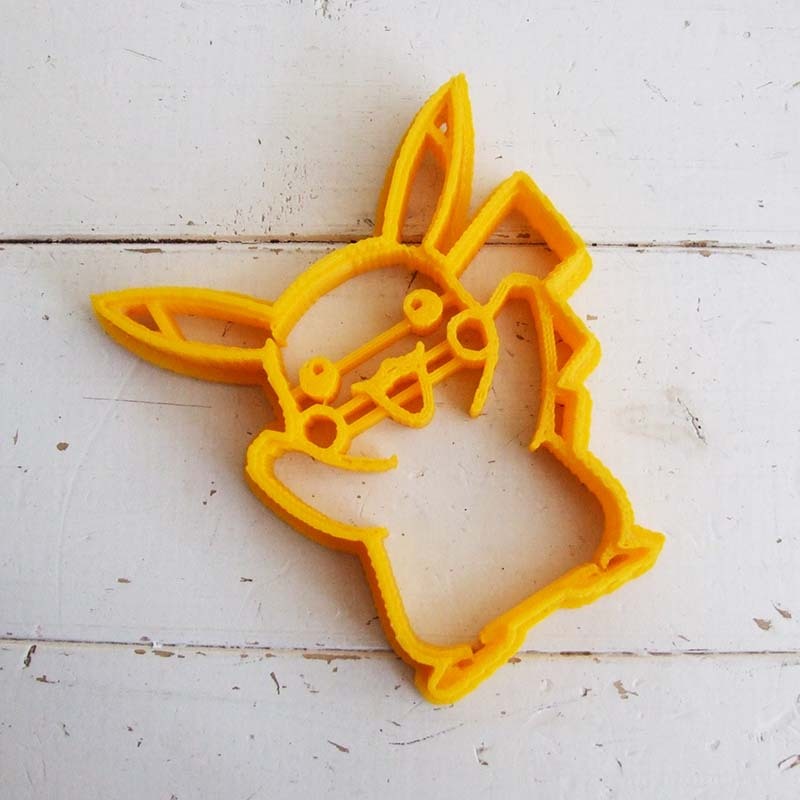 We decided to 3D print our own cookie cutter. Thingiverse came in handy again with an awesome cutter by broadzilla00 (Published on October 10, 2016). 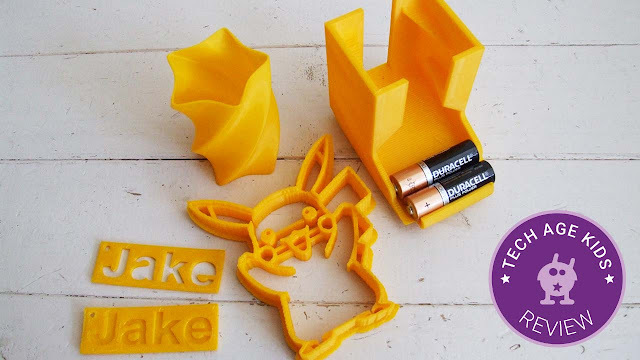 3D printed objects is not really food-safe, but can be used with saltdough to make decorations or modelling clay. If you do choose to use it, we recommend you wash it with warm soapy water and only use it once. It's now being used with the play dough. 3D printing is lots of fun and there are so many new skills to learn. 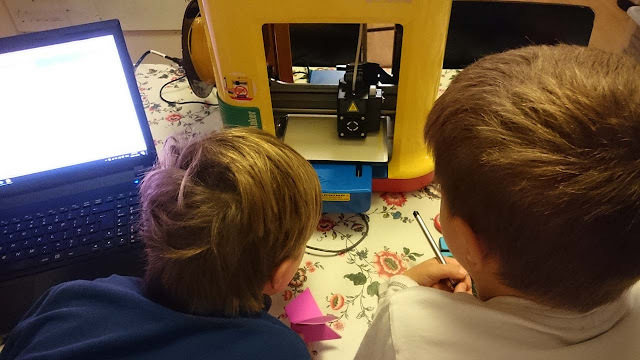 Below are six things we've learnt from our first week using a 3D printer at home. 3D printing takes a while, and as exciting as it is to watch the printer transform your design into an actual object, you're not going to watch it for hours. Once the printer starts going you won't be able to add more glue, so make sure your object is well stuck down. As you get used to printing, print some small objects first. 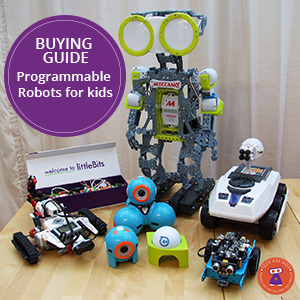 It will take less time and you'll be rewarded with something to give the kids. My boys loved having their own object printed and display in their room. Every time you print something, the printer does a test print on the side of the base plate. Make sure to remove this before you print the next object. Try 3D print some things for Christmas this year.